Pictures 3- this time it’s personal! Here are a couple frames i picked up over the years, there is a good possibility that I will end up selling them this year. 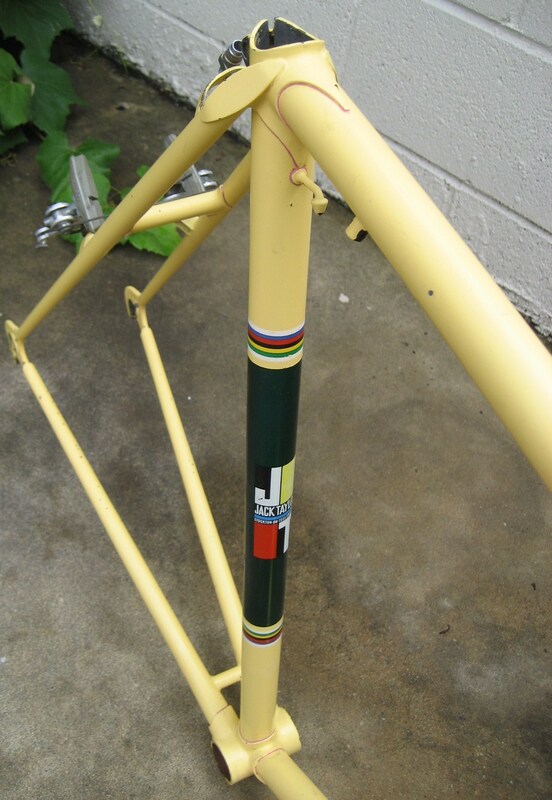 early 1970s Jack Taylor “cyclo-cross” bike framest. It has brazeons for cantilever brakes but vertical rear dropouts and no eyelets for fenders. It also has round fork blades, typical of track bikes. 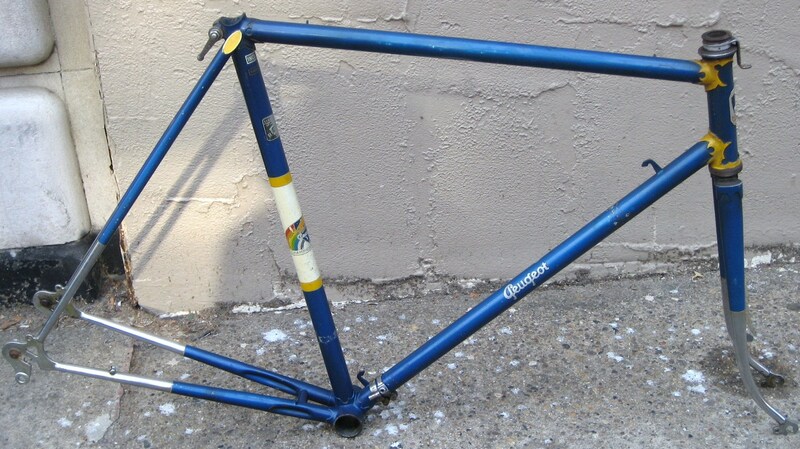 I got the frameset with a campagnolo Nuovo Record headset and Mafac Cantilever brakes, but I have since used those parts for other projects, so just a frameset now. 58cm seattube. 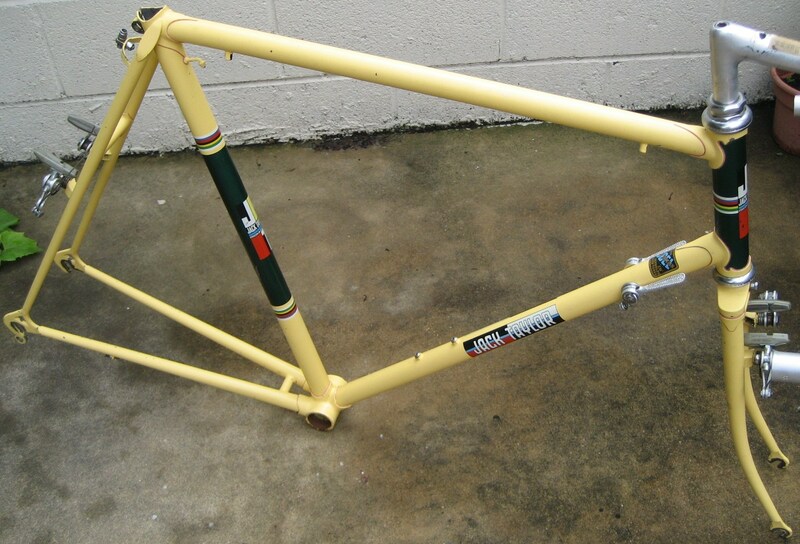 The other frameset is a mid to late 1950s Peugeot PX10. It was original set up to take Simplex 543 rear derailleur. included is a Stronglight P3 headset. How much are you going to ask for that beauty? The JT that is. I might be interested. 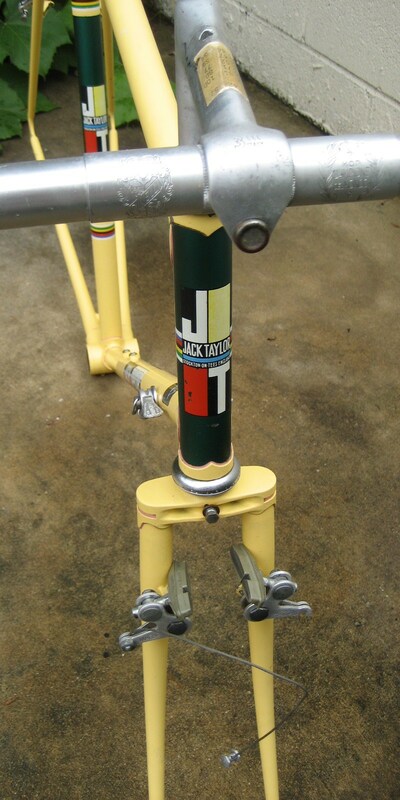 The Jack Taylor sold for $350, without brakes and headset. just frame and fork. sorry, I must have missed this comment. pictures 4- oh what a bore!